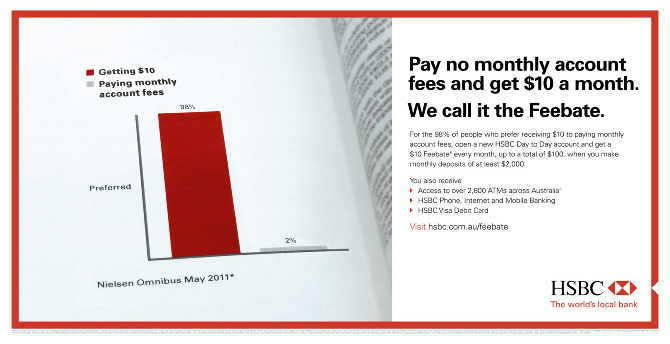 Do people prefer getting free money, or paying fees. 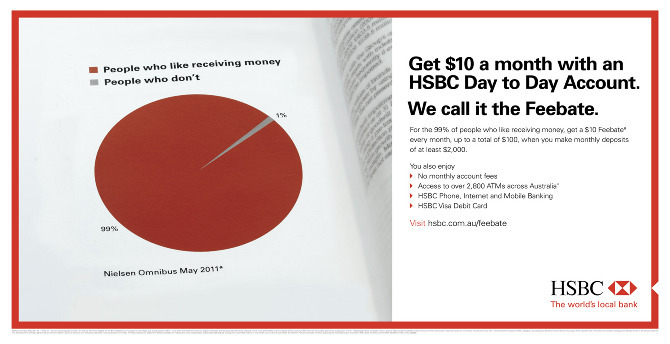 That was what we set out to discover in this campaign for HSBC. We conducted real research asking people what might have been the most obvious question ever, and turned the research into print ads, and the focus group recording into a script template we then had some extra fun with. This won a heap of effectiveness and creative awards in Australia.